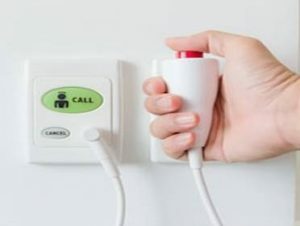 Nurse call systems, whether used in hospitals, sheltered accommodation, care homes etc., help to keep patents and the elderly/infirm safe by giving them the ability to call for assistance when required – whether they need round-the-clock or occasional support. If also gives peace of mind should they encounter a situation that they cannot handle independently, or if they have a health issue and need help. A nurse call system is of benefit to the service providers too – improves responsiveness, operational efficiency, prioritisation, and of course patient care. Using the latest technology and smart devices, we specialise in designing and installing bespoke systems to meet your exact requirements, and can also provide an ongoing maintenance service.